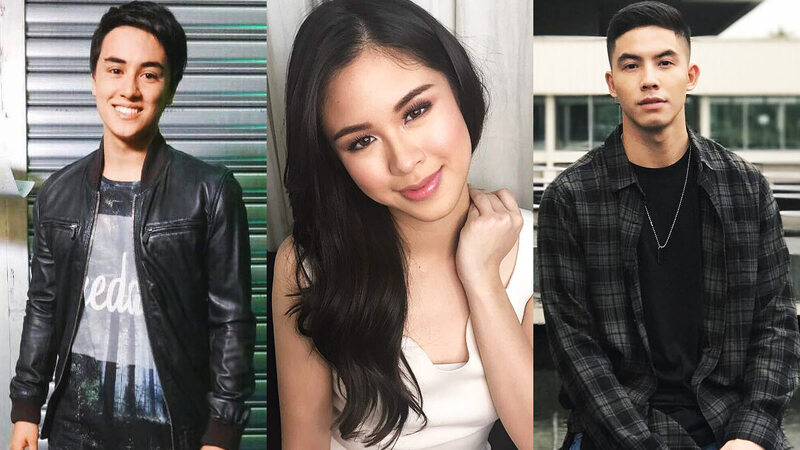 Fans have been wondering who could possibly replace Marco Gallo's place as Kisses Delavin’s love team partner. A number of names have sprung up, including Edward Barber, who is currently paired up with Pinoy Big Brother winner and friend, MayMay Entrata. Over the weekend, Kisses had a successful album launch in an event dubbed as #NationalKissesDay held at the Sky Dome in SM North Edsa. In an interview with ABS-CBN News, Kisses was quick to deny that a switch in tandems is in the works, even classifying the rumors as "fake news." She said, "May respeto ako sa partner ni Edward. May respeto po ako sa lahat ng kaibigan ko. Hindi po ako open na maki-partner sa partner ng kaibigan ko." Weeks after KissMarc was scrapped, the young singer-actress said she is happier than ever. "If may part sa akin na nalulungkot, 'yun 'yung sa fans, 'yung sa KissMarc supporters kasi love ko sila. And it hurts me to think na nagdurugo ang puso nila because of the love team. Pero what I can promise them is that it's for the best. Talagang ngayon I feel happier, I feel blessed, I feel free, I feel comfortable, I feel safe." In a lengthy IG post after the grand launch of her album, Kisses shared her heartfelt gratitude for everyone who has made her singing career possible. She said, "Took me some time to post something about the other night, since hanggang ngayon po, I'm still over the moon with everything that happened! Many of us have doubts about ourselves, but after that night, I can tell all of you that whatever we can dream, we can make it happen as long as we have the courage to pursue it." Interestingly, during the grand launch, many saw the special appearance of BoyBand PH alumni and La Luna Sangre actor, Tony Labrusca, who did not only give a special number in the show, but also a major kilig treat for the fans. He added, "You guys take care of Kisses!" Could Tony be Kisses' new on-screen partner? We just have to keep calm and wait for announcements!